852 Chilicothe St South Lake Tahoe CA offered at $329,900Continue Reading! 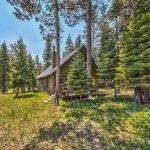 1061 Eagle Ln South Lake Tahoe CA offered at $725,000Amazing Custom home! Rare main floor entry with gorgeous welcoming Alpine/Cape Cod style architecture featuring large covered front porch that wraps to rear where you will find another large deck. But wait there's more; Views, Views, Views from every room and this special home sits on a half acre+. Kitchen features granite slab counters, a large island with vegetable sink, Wolf range and beautiful cabinets. Open...Continue Reading!